European telephone giant and 5th largest carrier worldwide, Telefonica said that it will shut down Janah, its VoIP unit on January 31st w2014. This is yet another sign of mounting trouble in the VoIP industry. 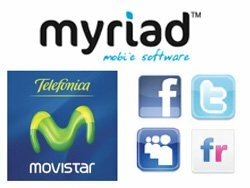 Telefónica has selected Myriad to provide social networking aggregation services to Telefónica’s mobile subscribers across 12 countries in Latin America. According to the 5-year strategic partnership agreement Myriad will deliver social networking solutions to more than 80 million customers. 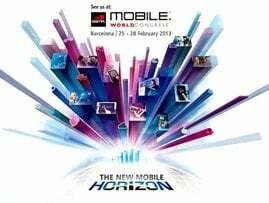 HiT Barcelona: Telecoms Industry Has To "Reinvent Itself"
Telefónica’s Carlos Domingo provided an interesting glimpse of the corporate navel-gazing underway at one of the largest fixed-line and mobile telecommunications companies in the world. The giant Spanish giant isn’t renowned – amongst its customers, anyway – for being at the cutting edge of innovation. But Domingo, Telefónica’s director of internet & multimedia and director of its R&D center, showed that it is grasping the nettle of change required if the challenges facing itself and the industry generally are to be met. Hughes Network Systems has announced the completion of the roll-out of a HN System solution for Telefonica Espana to deliver satellite-based VoIP rural telecommunications services. To enable the new communications services to operate a second switching centre interconnecting the rural satellite VoIP network to the national telephony network was required.